Singapore's first coral nursery welcomed new inhabitants yesterday. Collected from reefs around the Southern Islands, some 10 species of coral were added. 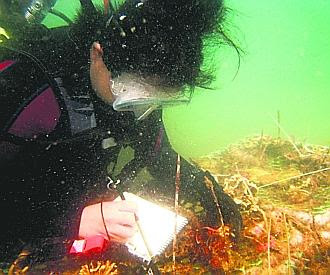 The coral fragments - pieces that had naturally broken off from live coral - were collected by volunteer divers from the National University of Singapore (NUS) and transplanted to specially designed 'tables' in the nursery at Pulau Semakau, near Sentosa. There, the fragments are cleaned of algae and closely monitored until they grow into larger colonies. Once deemed healthy, the corals will then be transplanted to other reefs around Singapore, where the hope is that they will continue growing and spawning more colonies. Set up in July last year, the nursery is a joint pilot project between the Keppel Group, NUS and the National Environment Agency, aimed at saving Singapore's dwindling reefs. The $500,000 project is expected to produce up to 600 coral fragments by next year, when it ends. If successful, it could be expanded into a long-term mission to save coral reefs here. There are over 250 different species of coral in the reefs around Singapore, said Professor Chou Loke Ming of NUS' department of biological sciences. Conservation efforts such as the joint project are crucial to the survival of Singapore's coral reefs, said Prof Chou. Over the past century, some 60 per cent of Singapore's coral reefs have been lost to redevelopment, he said. SINGAPORE: In what's hailed as a momentous occasion for conservationists in Singapore, experts will be transplanting some corals which were grown in a nursery to their new home. The progress comes a year after the coral nursery was set up. Fragments used to seed new corals are growing strong after they were cultivated in Singapore's first coral nursery, located off the waters of Semakau island, on Singapore's southern coast. The nursery was set up to conserve and regenerate Singapore's dwindling coral numbers. Professor Chou Loke Ming, Biological Science Department, National University of Singapore (NUS), said: "What we are trying to do is to slow down the decline and expand the areas where corals can regrow." And their plan has worked. 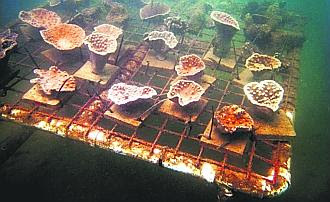 Experts said they aim to move the cultivated corals to their new home in six months’ time. This will revive sea beds that once thrived with corals. Conservationists said coral reefs in Asia are being threatened. In Singapore's waters alone, coral reef mass has reduced by 60 per cent. Karan Teo, and avid diver, said: "I've been diving around Asia and sometimes I see reefs that are ‘broken’. It's very sad for a diver because what we do is go down there to enjoy a marine life that is untarnished but when we see corals ruined, it's a sad thing." The National Parks Board (NParks) and its partners Keppel Group, National University of Singapore and National Environment Agency, launched the first coral nursery in Singapore at a site off Pulau Semakau today. This coral nursery will enable us to proactively enhance existing marine habitats by maximizing the survival of naturally occurring corals. Mr Chan Soo Sen, Director (Chairman's Office) of Keppel Corporation, added, Keppel is proud to be the sponsorship partner for Singapore's first coral nursery by donating $250,000 over two years to support the marine conservation project. As the first private organisation to recognise the importance of a coral nursery in Singapore, we seek to play an active role in the partnership and contribute meaningfully to the project. Beyond funding, we are also committing our expertise, resources and volunteers to support this two-year project. Our Keppel volunteers are excited to learn more about marine life and do their part for this marine environmental initiative. The sponsorship of the coral nursery will be Keppel's second major 'green' effort since June this year when Keppel supported NEA's third 'Bring Your Own Bag Day' by donating 100,000 reusable bags through FairPrice stores islandwide. With NUS providing strong scientific input and NEA providing expertise in water quality management, the multiple agencies collaborated to create a very unique solution to balance urban development with marine conservation. Development and industrialization have impacted coral reefs in Singapore over the years. Even though it has been reported that 60% of the local original reefs have been lost, Singapore still boast high biological diversity with almost 200 species of reef-forming hard corals. This accounts for about 25% of the global total species. This proactive marine conservation initiative seeks to sustain the marine biodiversity in Singapore as development here continues. The coral nursery located underwater at a site off Pulau Semakau is a two-year project that aims to grow as many hard coral fragments as possible. Suitable candidate species for propagation of coral colonies will be grown to sufficient size and transplanted to coral reefs off the southern coast of Singapore to enhance the ecological health of these coral reef habitats. The suitable candidate species will be collected from existing reefs at Pulau Semakau and other reefs in Singapore. This first coral nursery makes use of 'corals of opportunity' that are coral fragments damaged by some impact. Unlike commercial nurseries that make use of fragments deliberately broken off from healthy colonies, no healthy colonies will be used here. Breaking fragments off from healthy colonies poses a risk to the donor colonies. The National Parks Board (NParks) is responsible for providing and enhancing greenery of the Garden City. Beyond green infrastructure, NParks is committed to enhance the quality of life through creating memorable recreational experiences and lifestyles. NParks manages more than 300 parks, the park connector network and the lush roadside greenery in Singapore. 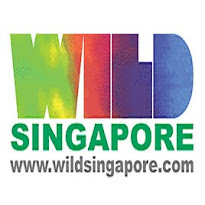 Some of the parks managed include Singapore Botanic Gardens, Fort Canning Park, East Coast Park, Bishan Park, Telok Blangah Hill Park and Pulau Ubin Recreation Area. In addition, NParks manages nature reserves such as Sungei Buloh Wetland Reserve and Bukit Timah Nature Reserve. As Singapore's scientific authority on nature conservation, NParks monitors and coordinates measures to ensure the health of designated nature areas. NParks is also the lead agency in the efforts to continually upgrade the Landscape Industry in Singapore. It works closely with industry partners to promote good work practices and create a thriving, creative, innovative and professional industry that will support Singapore's aspirations of being a City in the Garden. The Keppel Group engages in the three key businesses of Offshore & Marine, Property and Infrastructure to broaden its earnings base, deliver sustainable growth and create maximum value for shareholders. As it continues to grow its key businesses into global entities, Keppel remains committed to the preservation and enhancement of the environment. From creating quality living and working spaces by integrating environmentally viable management in our property projects, providing technology solutions to address a wide spectrum of environmental issues, to the introduction of cleaner diesel across SPC's network of service stations in Singapore, Keppel views the protection of the environment integral to our continued pursuit of growth. The National University of Singapore (NUS) is a multi-campus university of global standing, with distinctive strengths in education and research and an entrepreneurial dimension. Its diverse and cosmopolitan community of 23,500 undergraduate and 9,000 graduate students from 88 countries contribute to a rich learning and living environment across three campuses ' its principal 150-hectare Kent Ridge campus, Bukit Timah campus and Duke-NUS Graduate Medical School Singapore in Outram. NUS offers a broad-based curriculum underscored by multi-disciplinary courses and cross-faculty enrichment. There are 14 faculties offering courses from architecture to medicine to music. A special feature of NUS education is the global dimension of its courses in partnership with some of the world's best institutions. NUS also enjoys a close teaching-research association with 14 national-level, 16 university-level and 80 faculty-based research institutes and centres. Research activities are strategic and robust, and a no walls' collaborative culture forms the bedrock of NUS research-intensive vibrancy. A spirit of entrepreneurship and innovation promotes creative enterprise university-wide. This is aided by a venture support eco-system that helps students, staff and alumni nurture the development of start-ups into regional and global companies. NUS plays an active role in international academic networks such as the International Alliance of Research Universities (IARU) and Association of Pacific Rim Universities (APRU). It is ranked amongst the best universities in the world, and is well-regarded for disciplines such as Technology, Biomedicine and the Social Sciences.